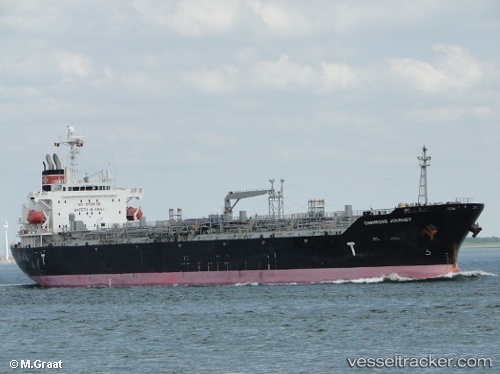 On June 11, the 174 meter long, 33526 dwt tanker Chemroad Journey ran aground in the South China Sea near Phu Quy Island, Vietnam. The Chemroad Journey was headed to Zhuhai from Al Jubail with 30,000 tons of chemicals (butanal, ethylene glycol, monoethanolamine) and 800 tons of fuel oil when it ran up on the rocky bottom. The tanker sustained hull damage to the ballast tanks and suffered water ingress. Unable to control the flooding, the Chemroad Journey developed a 15 degree list to port. No reports of injuries to the 27 crew on board. Authorities state there is a strong concern about pollution being released. A response team was monitoring the situation and coordinating efforts with the vessel’s owners to prevent any property damage and environmental pollution in the area. Reports state a Japanese salvage team has been contracted to survey and salvage the tanker.